Over 2,300 years ago Hippocrates said, “Let food be thy medicine and medicine be thy food.” In his day, “natural medicine” was simply “medicine.” There were no pharmaceutical companies, there was the herb garden. We’ve left those days behind to a great degree, but we haven’t forgotten them. Many modern drugs are modeled on natural substances still readily available today. Adding some of these delicious herbs to your culinary creations may boost your overall health while boosting the flavor of your meals. They’re easy to grow in the garden and especially easy to grow in pots. 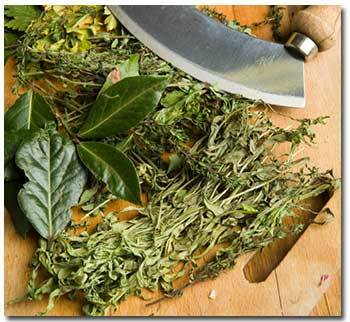 There’s no need for a large space to grow herbs, so start growing your own herbs and get cookin’! Please understand that this article is not to be taken as medical advice. We’re not saying toss out your prescriptions and head for the Farmers’ Market; health issues should be addressed by your health care provider. 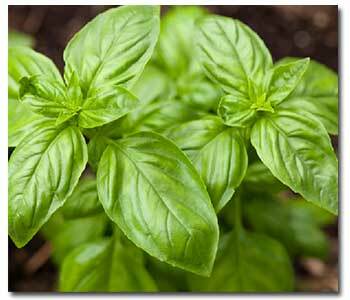 Basil: Sometimes referred to as the king of herbs (the name is derived from basileus, which is Greek for king), basil has fragrant, bright green leaves on 6-inch- to 2-foot-tall plants. It is an annual. Best culinary varieties: ‘Finissino Verde A Palla’ bush basil, ‘Italian Pesto’, ‘Lettuce Leaf’, ‘Mammoth Sweet’, ‘Mrs. Burns’ Lemon Basil’, ‘Profuma di Genova’, ‘Red Rubin’, ‘Sweet Basil’. Growing tip: Basil thrives when the soil is warm and nighttime temperatures are above 60°, so don’t rush springtime planting. To encourage branching, cut back stems to just above the first set of leaves when plants have developed three pairs of leaves. Harvest tip: Prune often to avoid flower formation. When a stem has developed four pairs of leaves, cut each stem down to just above the first set. Continue cutting plants back throughout the summer, or set out new seedlings in succession a month or so apart and harvest the entire plant for pesto. Uses: Eggs, fish, marinades, meats, pastas, pestos, salads, soups, stews, and tomatoes. Health: Basil has two important components for health: Flavonoids and Volatile Oils. The flavonoids found in basil have an anti-oxidant effect, offering protection from cellular damage. They also act as an antibacterial, effective against even certain antibiotic-resistant strains. Washing produce in a solution of 1% essential oil of basil dramatically reduces bacterial count. Adding basil leaves to homemade salad dressings has the same effect. 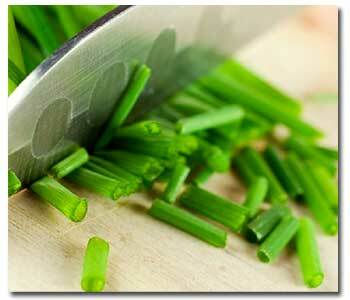 Chives: Green, grasslike, 12- to 24-inch-long spears form in clumps. Clusters of rose purple or white flowers in spring. Perennial. Best culinary varieties: Chives (A. schoenoprasum), Chinese or garlic chives. Growing tip: Increase the number of plants by dividing in winter every two years or so. Harvest tip: Gather chives by snipping the spears to the ground (otherwise you’ll have unsightly brown foliage mixed in with the green). Uses: Butters, cheeses, eggs, lamb, mayonnaise, potatoes, rice, salads, sauces, seafood, soups, sour cream, stews, and vegetables. Health: Like basil, chives are also high in flavonoids, providing anti-oxidant protection. Chives also contain an organosulfur compound found to have effective anti-cancer, anti-clotting, anti-bacterial & anti-viral, cholesterol-lowering and decongestant properties. 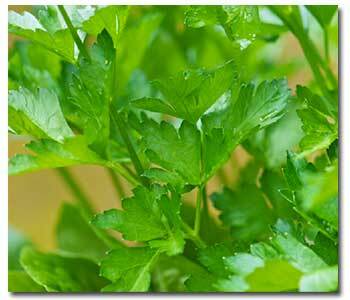 Cilantro: Bright green leaves on foot-tall stems look similar to flat-leafed parsley. 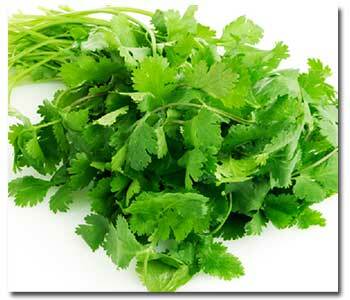 Cilantro refers to the leaves; the seeds are called coriander. Best culinary varieties: Grow types that are slow to bolt (go to seed), which are labeled as such or sold as a variety called ‘Slow-Bolt’. Growing tip: Cilantro grows best in cool weather. Plant in early spring after last frost (autumn in the low desert). If practical, start from seed; cilantro has a taproot and transplants poorly. Plant in succession every few weeks through summer. Once it goes to seed, the flavor changes. Harvest tip: Cut off leaves as needed. Harvest the entire plant before it starts to flower. Uses: Beans, curries, fish, lamb, Mexican dishes, pork, poultry, salads, salsas, sauces, shellfish, and stir-fries. Health: Cilantro has a lot to offer, health wise. It’s been found to have blood sugar-regulating and cholesterol-lowering effects in rats, as well as being a powerful anti-oxidant. Its biggest impact, however, is found in dodecenal, cilantro’s incredibly powerful antibiotic property, that is most effective against salmonella. In fact, dodecenal proved to be twice as effective as the leading antibiotic drug used to treat salmonella. Time for more salsa! 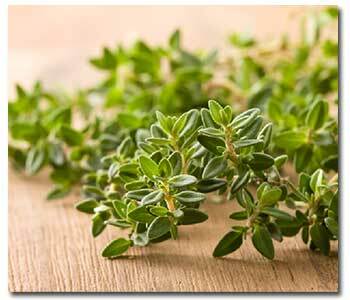 Thyme: Small, pungent leaves grow on stems up to 1 foot tall. White to lilac flowers appear in late spring to early summer. Perennial. Health: Thyme gives your brain more time. The anti-oxidants found in thyme show promising results in protecting brain cells from damage well into our later years. Thymol, one of thyme’s volatile oils, has the same powerful anti-microbial effect on raw foods as basil. Fortunately, the two go well together, so you get twice the protection by using both. 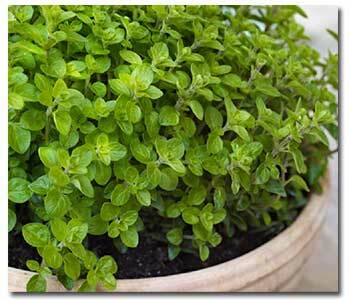 Oregano: Shrubby plant with 1 1/2-inch-long leaves grows 2 to 3 feet tall. Perennial. Best culinary varieties: Greek (O. vulgare hirtum) has gray green leaves. Italian (O. x majoricum) has milder bright green leaves. Growing tip: Needs especially good drainage. Plants thrive on little to moderate water. Harvest tip: Oil is strongest when the plant is in bud but before flowers open. Cut back to 4 inches tall in late spring, summer, and fall. Uses: Beans, cheeses, eggs, meats, pastas, salsas, sauces, soups, stews, and vegetables. Health: Studies have shown that oregano packs a powerful anti-oxidant punch. Oregano has a more powerful anti-oxidant capacity than either of the two artificial anti-oxidants commonly added to processed food. Why choose BHT (butylated hydoxytoluene) and BHA (butylated bydroxyanisole) when you can have tasty oregano instead? Oregano is also a power antibiotic, providing better results than the most commonly prescribed drug for treating Giardia. Parsley: Flat or curly green leaves grow in clumps. Flat-leafed types grow 2 to 3 feet tall, curly types to 1 foot. Biennial often grown as an annual. Best culinary varieties: ‘Giant Italian’ is best for cooking; the curly type (‘Extra Curled’ or ‘Green River’) is good as a garnish. Growing tip: Start new plants each year. In mild-winter climates, plant in fall or early spring (provide partial shade in hot climates); in cold climates, plant in spring after last frost. Harvest tip: Pick outside leaves so the center of the plant continues to develop new ones. Uses: Bouquets garnis, cheese sauces, pestos, soups, stews, stuffings, vegetables, and as a garnish. Health: Parsley is more than just a palate cleanser and breath freshener, though it certainly does both well. It’s also a good source of myristicin, a volatile oil that helps prevent lung cancer. This formerly garnish-only herb also provides high level of vitamin C, shown to protect against certain types of rheumatoid arthritis. In addition, parsley is high in folic acid, which is great for heart health. Sage: Shrubby plant from 1 to 3 feet tall with 2- to 3-inch-long leaves. Perennial. Zones 2-24, H1-H2. Growing tip: Keep plant on the dry side once established. Avoid planting near a lawn where the soil stays wet. Give afternoon shade in hot climates. Harvest tip: Cut just above where new growth emerges; don’t cut into old, woody growth. Uses: Apples, beans, breads, butters, cheeses, chowders, fish stock, game stuffings, gravies, lamb, marinades, pork, poultry, soups, stews, and tomatoes. 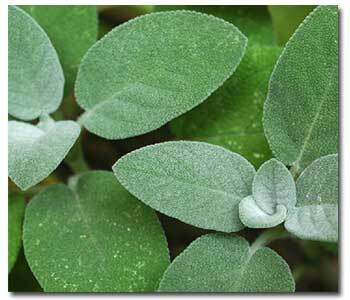 Health: Sage is not only a great anti-oxidant it also has powerful anti-inflammatory properties. Sage also has a laboratory-proven impact on memory. In tests, subjects were given small doses (from 50 – 150 microls) of sage oil. Memory tests were conducted at one, two, four, five, and six hour intervals. Even those with the smallest doses showed significant memory improvement. Health: Rosemary is another “brain food” herb. It improves circulation, specifically blood flow to the brain, thus improving concentration. It also has anti-inflammatory properties that help reduce the severity of asthma attacks, in addition to offering immune system boosting abilities. 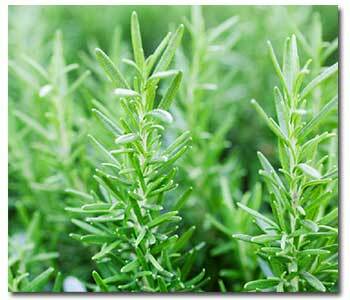 Rosemary is particularly good for improving digestion. Sweet marjoram: Oval gray green leaves on 1- to 2-foot-tall plants. Milder and more floral than oregano. Is a perennial in zones 8-24 and an annual everywhere else. Uses: Cheeses, eggs, fish, gravies, meats, pastas, poultry, rice, sauces, soups, stews, and vegetables. 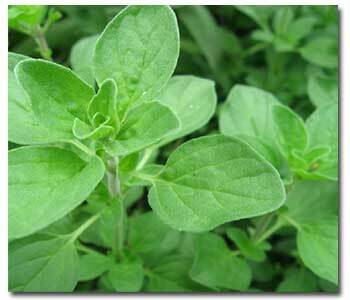 Health: Sweet marjoram positively impacts many bodily systems. In addition to having a cholesterol-lowering effect, it also helps lower blood pressure and increase circulation. Sweet marjoram can aid digestion, too. It has anti-inflammatory properties and is a good anti-bacterial/anti-viral/anti-fungal/anti-septic.